Named a 'Top 10 Jazz Festival in the USA' by JazzIZ Magazine and recently nominated as 'Best Jazz Festival' at the Oasis Smooth Jazz Awards, the Seabreeze Jazz Festival in Panama City Beach combines the top national smooth jazz artists with a full weekend of fun, sun, great beaches, and good times - all on the west end of Panama City Beach. 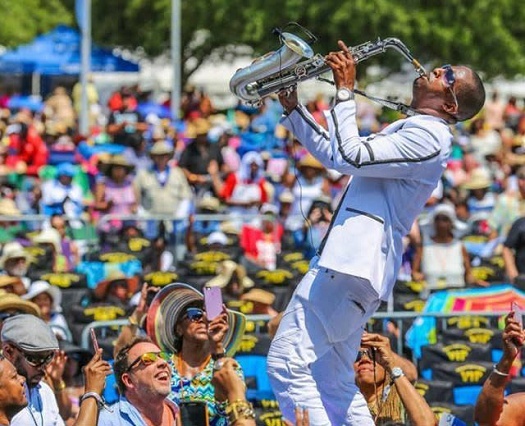 The event now attracts over 20,000 fans from the USA, Canada, and Europe for the ultimate performance-packed weekend of jazz. Join us April 24-28 in Panama City Beach for one of the south's premier spring events! Purchase tickets here.